IAQ 1000 is a hydrogen peroxide based, chlorine free cleaner. IAQ 1000 is pH-neutral, and contains an agent that will whiten and brighten while cleaning, but does not contain sodium hypochlorite (bleach). IAQ 1000 removes stains from mold and mildew. IAQ 1000 contains no dyes or perfumes, and is not corrosive like many industrial cleaners. 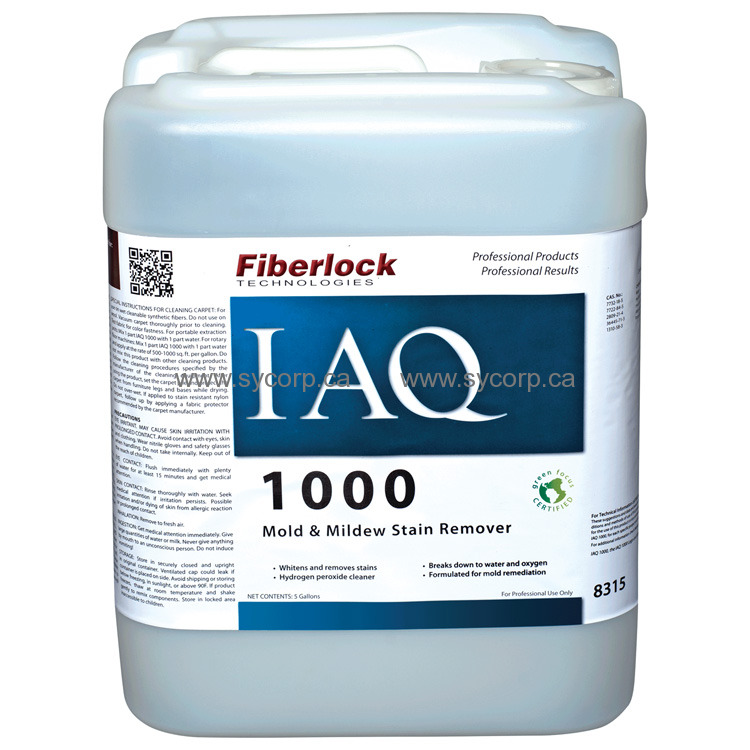 IAQ 1000 is supplied in a powerful, ready-to-use formula that can be applied directly from the container. IAQ 1000 is suitable for use on carpets, carpet cushion, sub floors, drywall, trim and frame lumber, tackless strip and paneling. Use proper ventilation.